Oban holiday self-catering accommodation, cottages on the West Coast Scotland. Oban in Gaelic means 'Little Bay' and it is known as The Gateway to the Isles as well as the Seafood Capital of Scotland - renting a holiday cottage in Oban means you can explore the town, the west coast and take day trips to the Hebrides - a perfect combination for a Scottish holiday . Oban occupies a beautiful setting with unparalleled views across the Oban Bay to Kerrera and Mull. Famed for its Victorian architecture, Oban offers tourists a wide range of quality, self-catering accommodation, from two-bedroom apartments in period buildings close to the town centre, to cottages with wonderful views across to the islands of Mull, Jura, Luing and Scarba. You might choose to stay in a traditional cottage, a croft on a working farm or in a large holiday house set in private grounds; all of them will be the perfect base from which to explore the area. One attraction on your list is likely to be the prominent folly on the hill overlooking Oban. Known as McCaig's Tower, it's based on the Colosseum in Rome and though it's a steep walk the views make it all worthwhile. The Oban Distillery is one of Scotland’s oldest and smallest whisky distilleries and is open all year round for tours and a chance to sample their finest malts. There are some award-winning restaurants serving the local seafood - the freshest mussels, crabs, lobsters, scallops and langoustines are on the menu as well as the daily catch of fish. The fish and chip shops are excellent too! You will be spoilt for choice of where to eat out on your self-catering holiday in Oban. 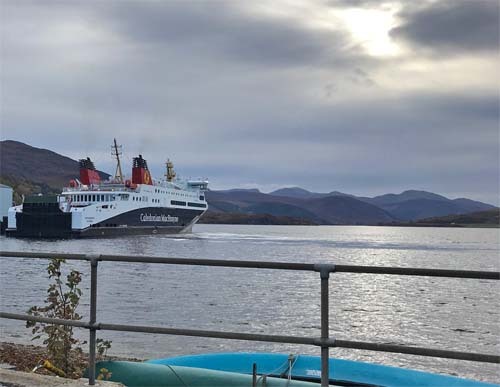 Calmac ferries leave from Oban to the Inner and Outer Hebrides and many islands can be reached for a day trip - Kerrera, Lismore, Mull, Iona, Coll and Tiree are all stunning. Just south of Oban you can go over the Bridge over the Atlantic to the Island of Seil and then take a boat the short distance to Easdale Island. The islands are also wonderful explored from the water and you can hire sea kayaks in Oban - also an ideal way to get close to local wildlife such as seals and porpoises. The unpolluted waters are also a mecca for divers - the marine life is abundant and there is good shore diving as well as wrecks to explore for more experienced divers. There are lots of boat trips from Oban and you have a good chance of seeing whales, dolphins, basking sharks and porpoise, not to mention a huge variety of birds including eagles.